Wednesday 2nd December 2015, 6:30 pm. Speaker: Professor Julie McCann FBCS, Imperial College. I will introduce a future where computers are embedded in everything and what the technological and social challenges for that is (such systems sometimes are called the Internet of Things). I'll discuss some of our current work in this area which has been deployed across London. From this I will demonstrate some of the coding tricks we use to make these systems resilient and efficient using bio-inspired algorithms that mimic fireflies and ants etc. Finally, I'll discuss a future that will see such technologies miniaturized down to dust. 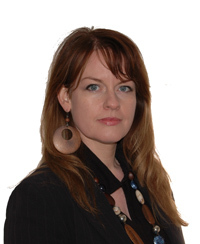 Julie McCann [FBCS] is Professor of Computer Systems at Imperial College. Her work focuses on decentralised algorithms and protocols for low-powered sensing and control systems that dynamically adapt to their environments. She has over 100 publications, authored Autonomic Computing: Principles, Design and Implementation (Springer, 2013), and has accumulated over £10M research funding. McCann is currently PI for the Intel Collaborative Institute on Sustainable Cities, and Co-I for Cisco Future Cities, both the NEC and FP7 WISDOM (619795) smart water initiatives and the NERC FUSE: Floodplain Underground Sensing Network project (NERC/I00694X/1).